E-commerce continues to thrive as an online business, and it's no wonder! Online shopping is convenient, and consumers can make purchases from almost anywhere in the world straight from their smartphone. Of course, if you're thinking about diving into the world of e-commerce, then you'll want to dig a little deeper about what's fact and what's fiction. 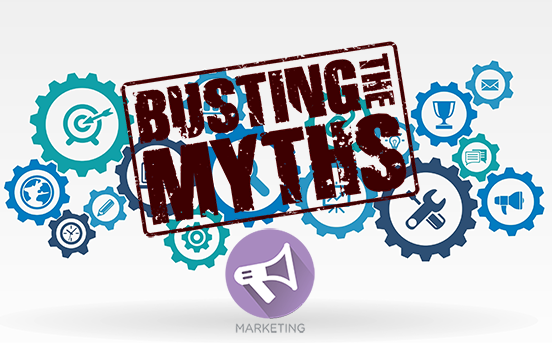 Here we look at a few e-commerce marketing myths that could be hindering your progress so that you can get back on track. #1: The lower the product price, the bigger edge you have on the competition. While it may seem like the logical thing to do, low-balling all of your pricing to beat out the competition only works if people know that you exist. You have to optimize your San Diego web design properlyand get the word out about your brand before you should slash prices. Start with an email marketing strategy that brings traffic to your site and offer incentives to potential customers before you cut the cost of the product. And when you check price comparisons, pay attention to more than competitive prices. You'll want to know if there is a reason behind higher price points like detailed tutorials or free accessories, as well as lower price points like high shipping costs. #2: You can never have too many products. When it comes to e-commerce niche product selection, some owners will think the more, the merrier. However, that simply isn't the case. Yes – you want a good sized selection, but if you can't produce quality images, descriptions, specs, reviews, and all of those other elements that give customers confidence when purchasing, then you won't see the ROI. #3: All San Diego web development companies have experience in e-commerce. Whether you hire a San Diego web development company for complete SEO services, or you just need a few consultation appointments, don't think that they'll all have the experience where it counts for your particular business. If you want your e-commerce store to succeed, you'll need to bring in someone who has been there before. #4. People visit your website to learn about your brand and read your story. As you develop a larger following, you'll find that some people will become curious about the story behind your brand, and you should have a page on your website that they can visit. But, if you think that the main reason customers come to your site is to learn about your brand, you’re mistaken. First and foremost, potential customers visit because they are searching for a product that you offer, and they want to learn more about that. Be thorough in product descriptions and images that your ideal customer finds useful, and touch on your brand's story, but don't stick it in every piece of content you get your hands on. Do you have a new project in mind? We'd love to hear about it!